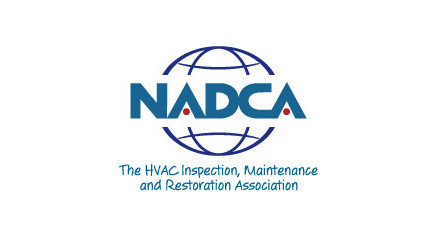 Capital Heating & Cooling has been setting the standard for air duct cleaning services for over 25 years and we’re one of three NADCA certified duct cleaners within 20 miles. 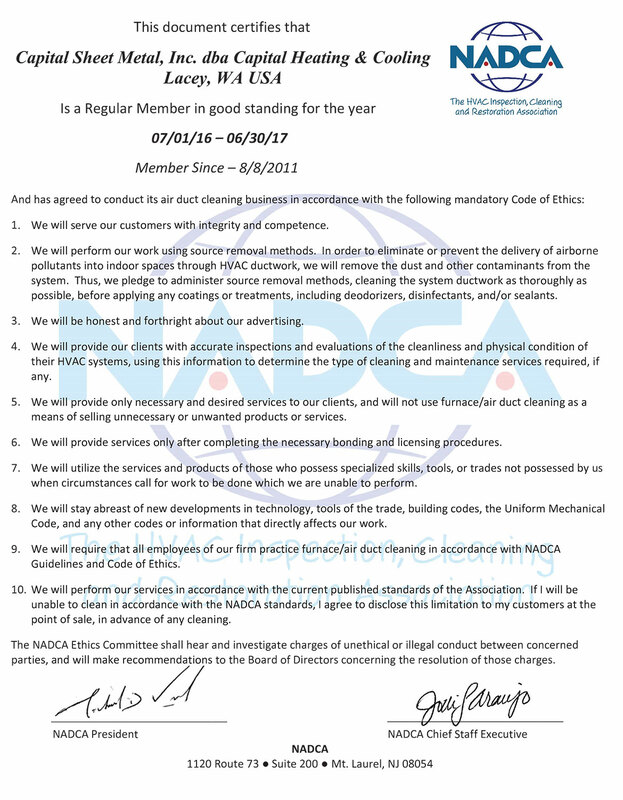 NADCA members use recognized best practices in the industry and protect you from fraud and scams. Systems with clean ducts are less likely to break down, have a longer life span, and generally operate more effectively than dirty systems. Capital Heating & Cooling uses a specially designed truck providing a powerful suction for all our duct cleaning. High pressure air sweeping tools are used through every duct run ensuring all surfaces are clear. 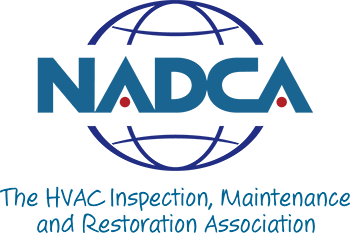 Because HVAC systems can act as a collection source for microbial growth, we apply an EPA registered sanitizing agent which kills 99% of all microbial growths which may be in the duct work. Microbial growth may include bacteria, mold and fungi. Our sanitizer is extremely safe and does not leave any perfumes or residue in the duct work. "Want to see how we ensure the highest quality duct cleanings?" Research has demonstrated that Heating, Ventilation and Air Conditioning (HVAC) system maintenance may allow them to run more efficiently by removing debris from sensitive mechanical components. Clean systems are less likely to break down, have a longer life span, and generally operate more effectively than dirty systems. HVAC systems have been shown to act as a collection source for a variety of contaminants that have the potential to affect health such as mold, fungi, bacteria and very small dust particles, the removal of such contaminants from the HVAC system and home should be considered one component in an overall plan to improve indoor air quality. The most effective way to clean air ducts and ventilation systems is to employ a source removal method of cleaning. This is accomplished by placing the system under negative pressure through the use of a powerful specialized vacuum. While the vacuum draws air through the system, devices are inserted into the ducts to dislodge any debris that may be adhering to the interior surfaces. The debris then travels down the ducts and out to the outside for collection. 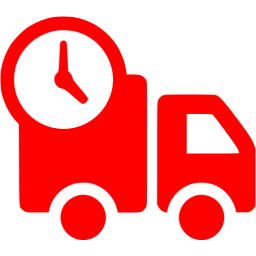 Capital Heating & Cooling uses a specially designed truck for all our duct cleanings. High pressure air sweeping tools are used through every duct run ensuring all surfaces are clear. After the source removal stage, we apply an EPA approved sanitizing agent which kills 99% of all microbial growths which may be in the duct work. Microbial growth may include bacteria, mold and fungi. Our sanitizer is extremely safe and does not leave any perfumes or residue in the ductwork. In fact, it is so safe, an identical product is used for restaurant maintenance. How Long Should it Take to Clean a Typical HVAC System? To truly perform a quality duct cleaning, the typical 1500 square foot home with the furnace located in the garage will take approximately 3-4 hours. Of course, the extent of contamination, furnace location, and other variables may extend this time.